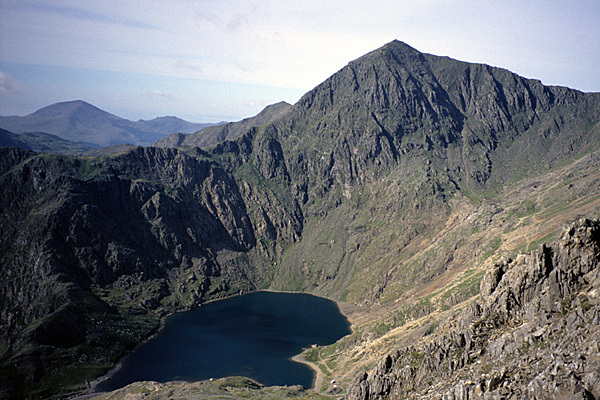 Snowdon is the highest mountain in the county of Gwynedd and the whole of Wales. 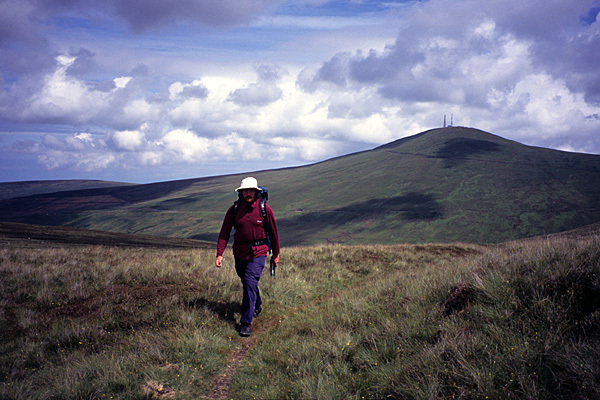 Paddy Dillon on the Isle of Man, with Snaefell beyond, the highest point on the island. 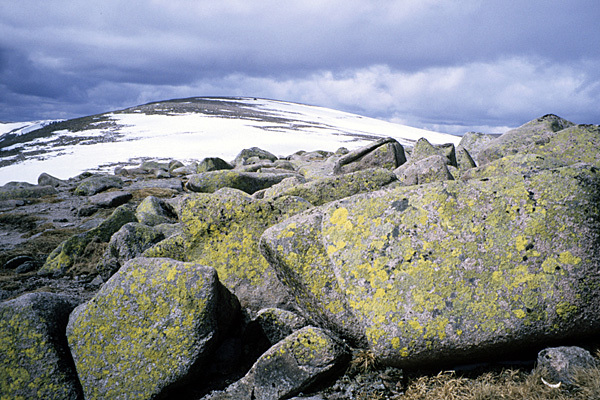 High on Ben Macdhui, the highest point in the Grampian region of Scotland. Some things seem like a good idea at the time, such as climbing to the highest point in every county in England, Scotland, Wales and Ireland. The research for this guidebook was achieved by hitch-hiking to the foot of almost every one of these heights, then walking to their summits. The hitch-hiking alone involved 512 separate lifts and covered in excess of 22,500 kilometres (14,000 miles), completed in a series of short trips spread over nine months. A total of 95 County Tops were visited, based on the post-1974 arrangement of counties, regions and islands areas in the United Kingdom, plus all the counties in the Republic of Ireland. The research trips were covered in the following order: South West England, North West England, North East England, Southern Scotland, Peak District, Isle of Man, Eastern Scotland, Ben Nevis, East Anglia, North Wales, South Wales, Scottish Highlands, South of Ireland, Northern Ireland, Irish Midlands, and Scottish Islands. Over the years the county structure has changed again and again, so the list is basically academic, though the routes remain valid. It was a good excuse to travel around and explore the rich and varied countryside of the British Isles. In a review in High magazine the book was described by Chris Townsend as "daft enough to be popular."